60 Minutes’ Liz Hayes Content With Partner At Age 61! Planning For Children? Home » Relationship » 60 Minutes’ Liz Hayes Content With Partner At Age 61! Planning For Children? Despite a history of marrying too many times in her past the consummate professional Liz Hayes still has to live without children in her life. And she blames bad timing for it. Read the whole news here. New South Wales native Elizabeth Ryan, professionally known as Liz Hayes, is an Australian journalist and television presenter. She is best known as a reporter of 60 Minutes and as a former co-host of Today Australia. Liz initiated her journalism career as a cadet journalist on the local Manning River Times newspaper, becoming an assistant editor. The veteran journalist then went on to briefly work for New Idea and TV Week before working as a reporter for Network Ten's Eyewitness News. At the age of 25, she was signed to the Nine Network, presenting the National Nine News in1981. In 1986, Liz was also appointed by Today Australia as a co-host and stayed until 1996. She joined 60 Minutes, the most significant break of her career, as a reporter in 1996 and still serves in the position. And she has no plans to leave the network and also has Barack Obama in her sights. Liz, with her bleached white blonde hairstyle, still looks gorgeous at the age of 61 but she is rarely seen in public. 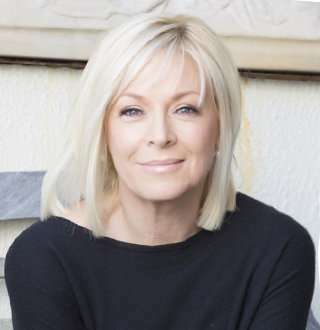 Liz Hayes publically supported former Channel Nine presenter and her colleague, 57-year-old Lisa Wilkinson, after Lisa left Channel Nine in October 2017 complaining about the pay gap with a male presenter. Liz also provided her opinion on male dominance in journalism stating that the field is now far more level than it used to be and also detested against inappropriate behavior and sexual harassment in the entertainment business. In her professional life, she has talked about marriage and divorce with renowned actors, cuddled up with comedian and even charmed Hollywood’s sexiest man, but in her personal life, Liz still struggles with making her own beautiful love story. Liz has been married three times in her life but is still not blessed with any children. She first got married to Brian Hayes, a builder, in her hometown of Taree. He had brought her to Sydney and supported in her career. But they had separated after few years of marriage. And later in February 1991, she was briefly married to the advertising entrepreneur John Singleton. She was her fourth wife. However, their relationship didn’t even last for a year, and they got divorced that December. She still maintains a close friendship with him. And it was also rumored that she had an affair with a celebrity hairdresser Stefan Ackerie. Liz’s Relationship Status at Age 61: Planning For Children? The television presenter Liz, who is one of the older women on Australian television, has married and divorced a couple of times in her life. But now she has a stable partner with whom she has been with more than a decade already. Her husband is Ben Crane who is a former 60 Minutes soundman. She has not revealed much about her present-day husband and has not made any public appearances. Despite being married thrice she still doesn’t have any children of her own, and it’s the most hurtful matter for the aged journalist. And she hates the assumption of people that she doesn’t like children or that she places her job first. In an interview back in 2014, Liz said that it wasn’t based on her career and it had a lot to do with bad timing that she had in her past with her ex-husbands. As of now, she might not be planning to have any children as she is already above 60 years old. Vanessa Feltz & Husband With 10 Years Age Gap Have A Secret Wedding? Michelle Caruso-Cabrera Engaged & Married With Husband & Aging Well!